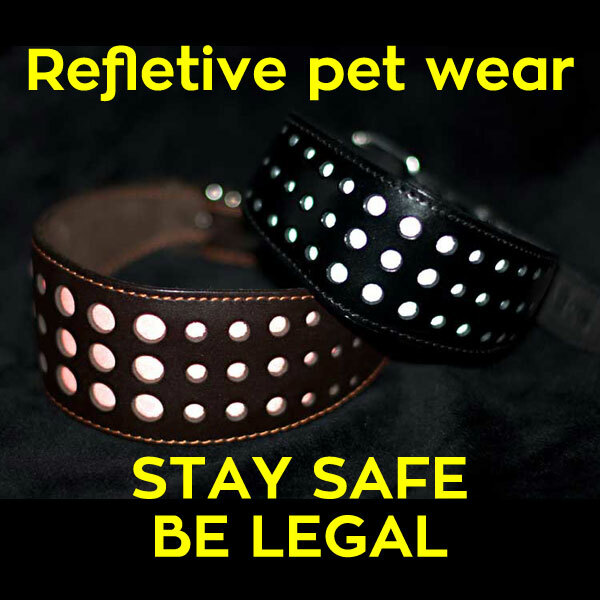 STAY SAFE - USE REFLECTORS - BEE SEEN! 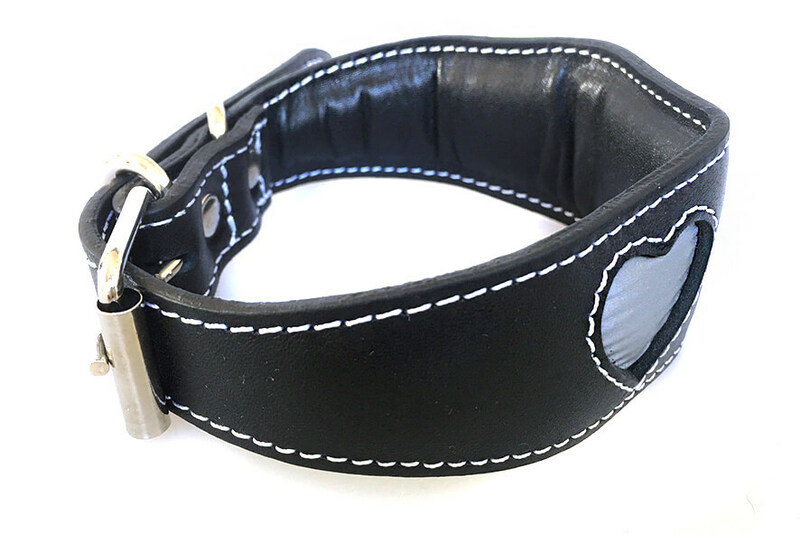 We will send you a FREE reflective dog collar tag with every reflective sighthound collar from Dog Moda! 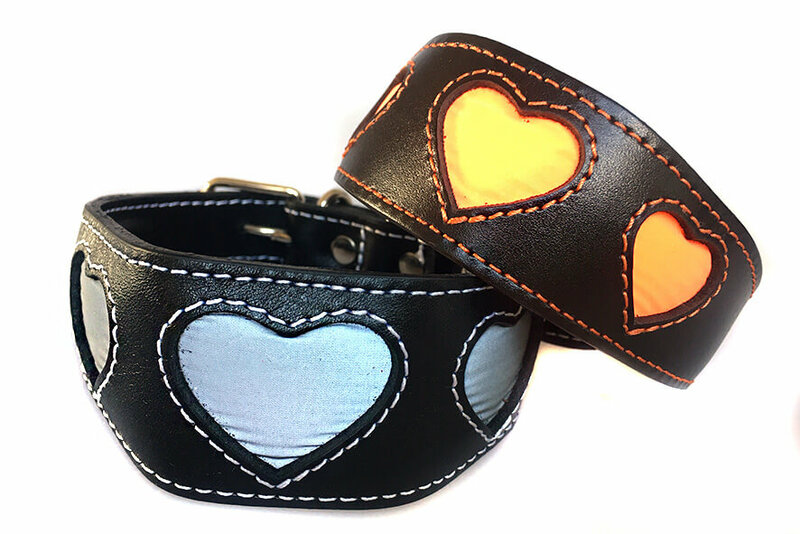 A stylish sighthound collar with silver hearts reflective that reflect light in the dark and can save lives by making you and your hound highly visible to oncoming traffic from as far as 300m away. 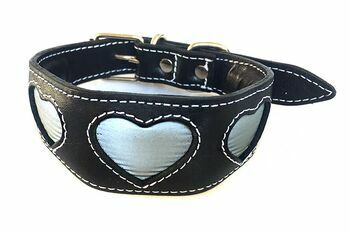 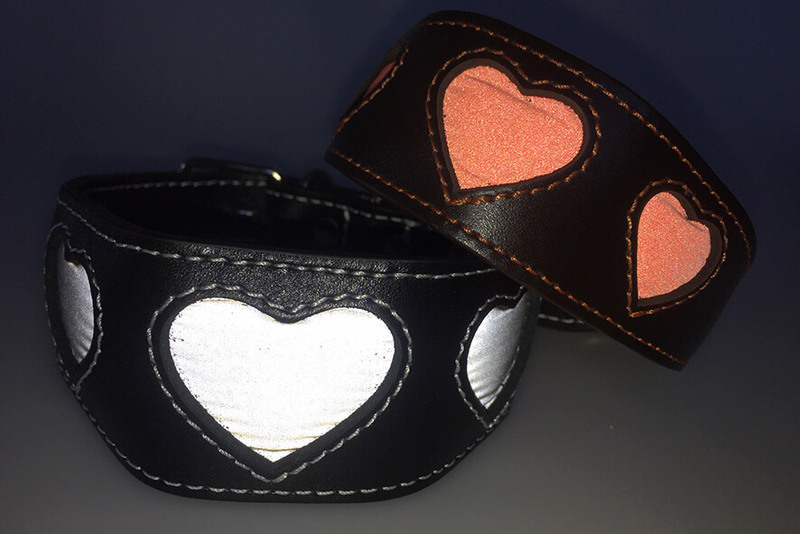 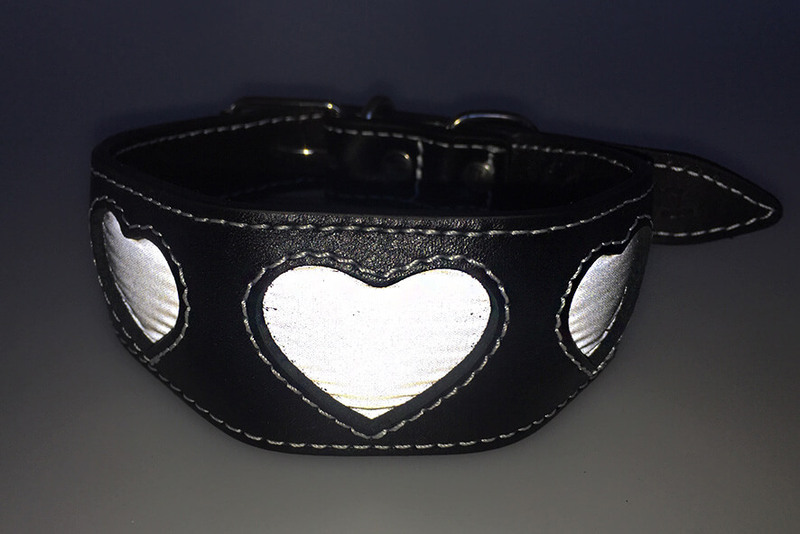 Silver reflective hearts of this reflective leather collar guarantees increased visibility in low light situations by combining high performance light reflective silver material with black leather.